The Vitagoods is a nice and small handheld head massager that comes at a good price. This unit is very comfortable to wield, and you can use it to stimulate your blood flow and apply shampoo at the roots of your hair. 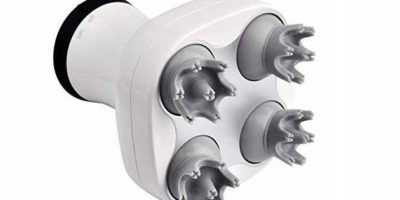 The first thing you notice about the Vitagoods massager is how small and compact it is. In fact, this unit is specially designed to fit in the palm of your hand, so you’ll have no problems using it comfortably. One of the best features this head massager has to offer is its simple and elegant design. 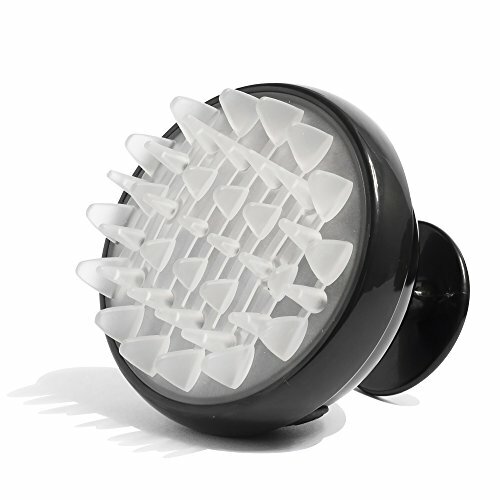 This unit provides a comfortable grip, and you can wield it just as you would a hairbrush. The massager’s handle is designed to fit between your index and middle fingers with the tips pointing towards you and the handle outwards. You should use the massager starting at the front of your head. Apply a small amount of shampoo at the base of the massager’s rubber tips and run the massager through your hair, trying to get as close to the hair’s roots as possible. Brush your entire scalp slowly, making sure you apply more shampoo when the one you’ve been using runs out. If you know there are particular areas of your scalp that lose more hair than others, you can spend more time running the massager over them. This will stimulate your local blood circulation, allowing more oxygenated blood to reach the surface of your skin. Along with more oxygen, the blood will also carry more nutrients to your scalp, stimulating its production of collagen and improving the way it distributes the nutrients among the hair follicles. This can lead to a decrease in your hair loss, and it might also improve your hair’s aspect. One of the advantages of using this model is that it’s waterproof. This will allow you to use the massager while you’re taking a shower, or right after taking one when your hair is still wet. Using the massager on your wet scalp can improve its effects, as the warm water stimulates the dilatation of the blood vessels, so more blood will come in contact with your skin and scalp. 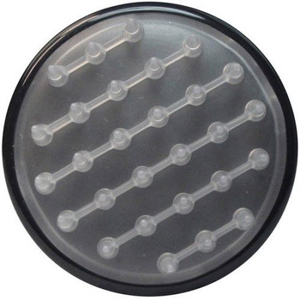 The Vitagoods massager is really easy to use. This model is powered by a single AA battery. To insert and replace the battery, you will have to use a small screwdriver. Luckily, the unit doesn’t need too much power, so you won’t have to change the battery very often. You can turn the unit on or off with a single press of a button. 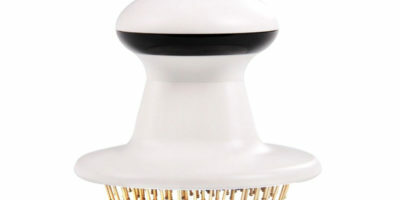 You can either use the massager when it’s on, but you can also use it when it’s off, just as you would a normal brush. The Vitagoods head massager comes with a 30-day money back guarantee. If you notice that the product presents workmanship and/or material defects, you can send it back to get a full refund. However, the transportation costs won’t be refunded, and you will also have to support the return shipment cost. Promotes Hair Growth – With its brush-like design, this head massager is specially designed to promote hair growth. You can further stimulate your hair growth by using special oils and shampoos alongside the massager. Comfortable To Wield – This head massager is really comfortable to use. The grip is well-designed, and you won’t have any problems holding the unit between your index and middle fingers. Weak Vibrations – Even though this head massager manages to promote hair growth, it doesn’t produce a powerful vibration massage. Battery Is Slightly Difficult To Change – Changing the unit’s battery can be difficult as time passes by. The cover’s small screw is easily damaged, so you might end up needing a lot of patience to unscrew it.